ItemBARK_1990.0003.0417 - Unidentified Chinese man in uniform; circa 1940. Item BARK_1990.0003.0417 - Unidentified Chinese man in uniform; circa 1940. 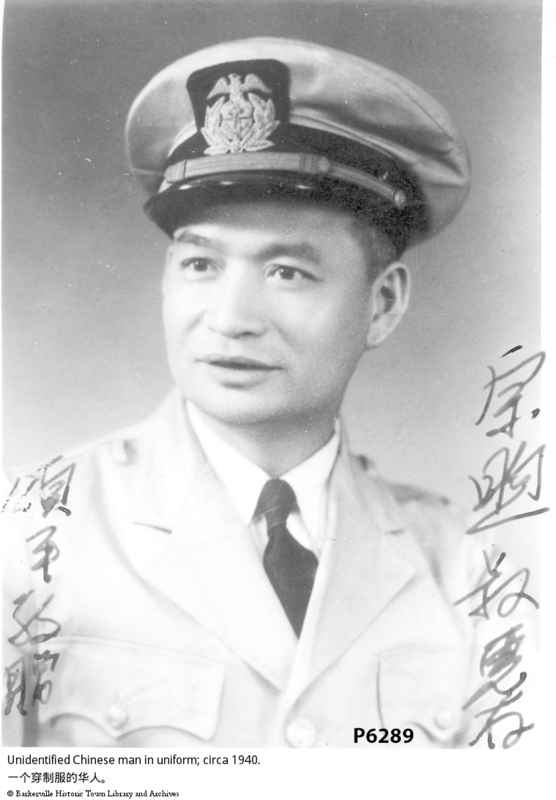 This print image depicts a Chinese man in a military uniform. Photograph has hand written captions in Chinese on front and back. Translation of Characters on front: "From Songping, to Uncle Zhongxi" and back: "send ships to China Merchants Group. U.S. China Aid Technicians, Operation Department."